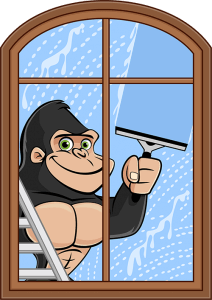 For service you can rely on, trust Nanaimo Window Cleaning- our Gorillas aren’t afraid of heights! Despite the simple idea of window washing, there are many issues below the surface. The trained eyes from Nanaimo Window Cleaning are able to see these problems and address them through routine maintenance. There are pieces of history all over Nanaimo, no matter where you are, there is something to see! Modernization is the key to survival! The past is present on every corner within the city and in its architecture. The great British influence is present all over the land. Tourists and residents alike can appreciate buildings such as The Great Land Building, the Courthouse and the Firehouses. With proper training and a light touch, our Gorillas maintain the integrity of windows and glass from any time period. Glass is a porous material and leftover dust, grime and other natural debris can, over time, degrade windows. With outflows coming in from the mainland, the weather in Nanaimo can be unpredictable, leaving outdoor material, such as windows, to combat these varying weather conditions. Regular household cleaners and paper towels don’t remove dirt and spots without leaving streaks or a static. A static charge that collects dust and dirt all over again. No one wants to go through all that hassle to just see spots afterward! Extensive training makes sure that we not only get the job done, but that we do so effectively, and safely to the highest standards possible. Nanaimo window cleaning is carried out by hand, with tie-offs to maintain stability.Technicians use rubber squeegees and keen eyes to ensure crystal clear windows from top to bottom.